People tend to think of allergy triggers as occurring during the spring, summer, and fall. In addition, they tend to associate insect allergies with stinging insects such as wasps or yellow jackets. However, two of the most common causes of allergies and asthma are present year round, and are cockroaches and dust mites. The Bug Dude can take care of your pest problems with pest control in Fort Worth. For those who suffer from allergies and asthma, cockroach saliva, droppings, and cast-off exoskeletons are known to trigger and worsen allergies, and asthma symptoms. Pest control in Fort Worth can rid your home of these and other pests. Children are especially vulnerable for experiencing allergies and asthma when exposed to cockroach infestations. According to the National Institute of Environmental Health Sciences, one in five children in the U. S. suffer a severe allergy to cockroaches. In addition, cockroaches carry 33 types of bacteria including E. coli, salmonella, clostridium, staphylococcus, and streptococcus, parasitic worms, and other human pathogens. Diseases humans can contract from cockroaches include cholera, plague, polio, dysentery, typhoid, and gastroenteritis, to name a few. Contact The Bug Dude today to schedule professional pest control in Fort Worth. Seal cracks outside of the home along the foundation, around doors, windows, and dryer vents. In addition, use screen wire over plumbing vents on the rooftop. However, vents that exhaust heat from appliances, such as gas water heaters, gas furnaces, and chimneys require a specialized type of wire to withstand the heat. Routinely vacuum carpet, rugs, drapes, and upholstery to remove cockroach excrement. Keep counters and floors clean and free of food, drink, and crumbs. Periodically clean under kitchen appliances to remove food debris. Store non-perishable food in tightly sealed containers to keep pests out. Routinely empty garbage cans and dispose of the bags properly. Don’t leave garbage cans open, select tightly closing cans. Repair leaks in and around the home. Inspect all bags and plants brought into the home outside before you enter the home. Providing routine professional pest control in Fort Worth, coupled with a clean home is the best means of preventing a cockroach infestation. Worldwide there are about 4,000 species of cockroaches, with as many as 70 species living in the U.S. Only a handful inhabits human dwellings. Three of these are commonly found in homes and other structures, and include the American cockroach, the German cockroach, and the brown-banded cockroach. Cockroaches are typically nocturnal. While it’s an unsettling thought, the few cockroaches you see during the day may mean they were forced out by overcrowding. Daytime roaches may be a possible sign of a severe cockroach infestation, and the need for professional pest control in Fort Worth. For example, the American cockroach prefers living in food storage areas such as cabinets, the pantry, and also basements, and sewers. They prefer foods such as beer, pet foods, cosmetics, paper, glue, baked goods, wallpaper paste, and typically enter a home on bags, and through sewer pipes. In addition, they often live in bakeries, grocery stores, and restaurants. In order to prevent an American cockroach infestation, it is essential to eliminate the sources of food and moisture that is attracting them. 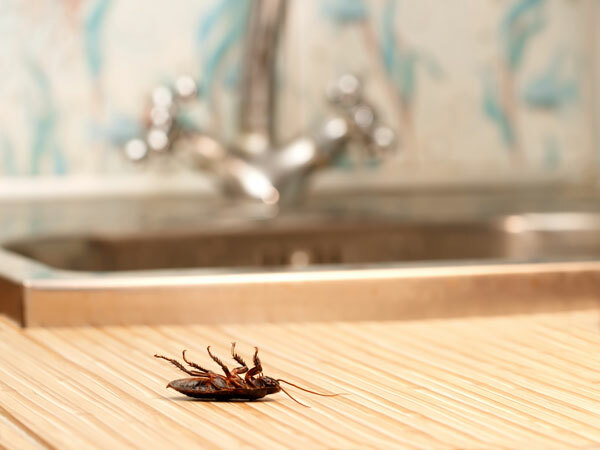 Furthermore, providing leak repair, and ventilating basements and crawlspaces, along with cleaning up spills, crumbs, washing up dirty dishes, and taking out the trash daily can help prevent an infestation of these and other cockroach species. The Australian cockroach has habits similar to the American cockroach. However, it doesn’t like sewers and prefers to feed on new plant shoots or starchy foods. They are commonly introduced into the home on newly purchased potted plants. The brown-banded cockroach is widely distributed in the U.S. They require less moisture, and are likely to be throughout the home. They prefer temperatures of 80 degrees F and above, and are likely to be found in appliance motors, inside electronics, on ceilings, in attics and other warm locations. They are one of the smallest of the cockroach species. Cockroaches will feed on organic matter, preferring starchy foods, but will feed on sweets, grease, meat products, cheese, beer, leather, glue, hair, book bindings, dried skin or any decaying plant and animal matter. Homeowners often attempt pest control themselves. However, these treatments often fail due to the cockroach’s habit of spending 70% of their time in cracks in walls, floors and other locations where treatment never reaches. Furthermore, the pests will typically retreat to their safe location when these methods are used. While you may see dead insects, it highly likely many more have escaped the effects, only to return. Pest control professionals are trained with the necessary knowledge and tools to resolve cockroach infestations successfully. Furthermore, licensed professionals in pest control in Fort Worth have access to the quickest and most effective methods of cockroach elimination. The Bug Dude will provide the professional pest control in Fort Worth you need to eliminate cockroaches and other pests infesting your home or business. The pest control services you need are just a phone call away, so call today. Our pest control professionals serve Fort Worth, Dallas and the surrounding areas.